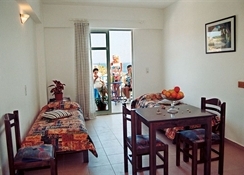 The Aparthotel Sofia Mythos Beach stands above on one of the beaches of the small bay of Bali on the island of Crete. 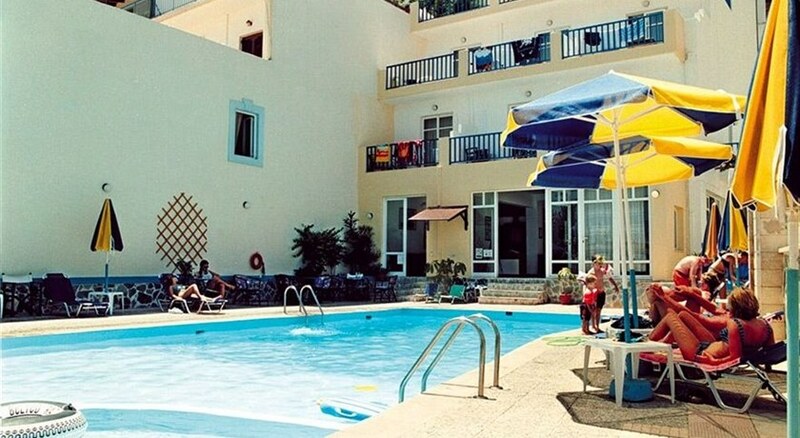 The facility consists of two buildings cover in total 2 single bedrooms, 49 double bed rooms and 25 family apartments, 2 sun terraces, a swimming pool, an a-la-carte restaurant, a taverna and a snack bar. 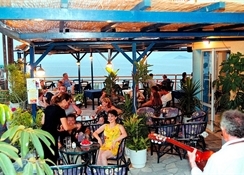 The a-la-carte restaurant in the lower building has an outdoor terrace with panoramic views and offers international and Greek specialties .Breakfast and dinner as buffets are prepared in the upper building's taverna, which represents the typical Cretan cuisine. Due to the idyllic location at a bay with several sandy beaches which is framed by mountains, enchanting views of the bay and of the old village center of Bali, The Aparthotel Sofia Mythos Beach is a perfect holiday place. The Rethymnon Town is 31 kilometers from the hotel while Herlraklion and CHQ Hania Airports are 60 kilometers and 101 kilometers respectively.